On the first anniversary of the October 26, 2005, suicide-bombing in Hadera’s open-air marketplace, the city organized a memorial for the six victims (the seventh lingered and died of her injuries four years after the blast). The families expected a solemn, respectful occasion. It was anything but. Hadera-born Pirhiya “Pickie” Harband was the second daughter of Hannah, who came to this country from Poland at age three, and of Yitzhak, who arrived here in the midst of World War II with General Anders’s Polish Army. Pirhiya (whose Hebrew name means “flower of God”) was named after Blooma, an aunt murdered in the Holocaust. Pickie was shy, very bookish, served in the IDF (Military Intelligence) and studied literature at the Hebrew University. 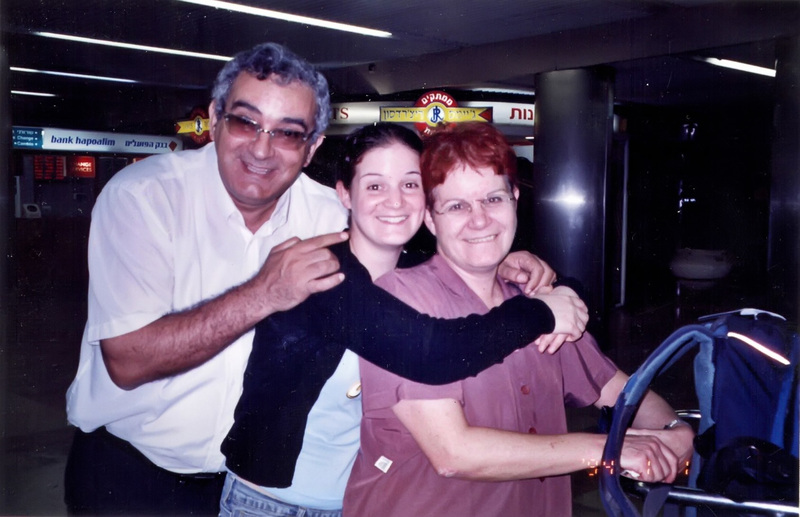 In time, she began working at the Bank Leumi branch near Hadera’s old market, where she stayed on for 30 years. There she met Libyan-born Haim Machlouf, employed at the same branch. They married and had three children – Noa, Michal and Ron. 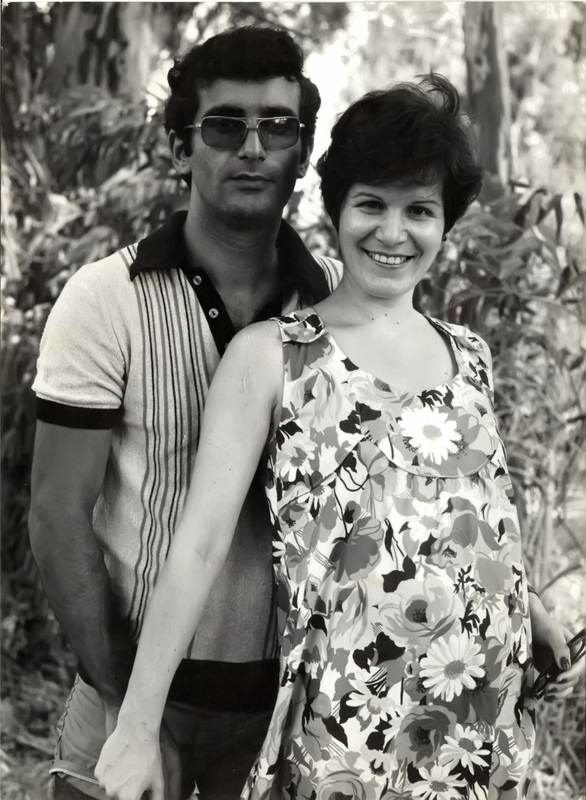 Their family, amalgamating East and West, was quintessentially Israeli. The only career Pickie ever wanted was to be a mother. An avowed Anglophile, she loved British humor, literature and TV. She taught her children fluent English and instilled in them the love of reading. “My fondest memories are going to the library together, or shopping with mom, who’d delegate tasks to each child. We never misbehaved, because we were meticulously taught manners, even how to conduct ourselves in a restaurant,” Michal recounts. “Mom was a night owl and would cook late, which was when we had long heart-to-hearts. I could unload and tell her everything. She was the only adult I knew when growing up who had no trouble apologizing to her kids. Saying sorry, she believed, wasn’t weakness. “Childishly naïve and shy as she was, she taught us three to fear nothing, to climb trees, attempt the highest playground challenges and achieve whatever we set out to. We were competitive siblings, and she was our balance wheel. When she was taken from us, our family lost its linchpin. “That fateful Wednesday didn’t seem unusual. Several days later I was supposed to start my freshman year at university, and my sister was to begin her third year. Mom wanted to cook treats for us and planned to leave work early to shop at the market. My brother and I drove her to the bank because Ron needed the car. I always phoned mom during office hours, but not that day. I was in an awful mood throughout. Maybe it was premonition. During the ensuing hours, the entire family frantically searched for Pickie. Officialdom didn’t help. No information was obtainable. Haim finally did what he had been dreading and went to the Abu Kabir morgue. Pirhiya’s name was broadcast before he reached home. The driver who smuggled the suicide-bomber past various obstacles into Hadera was apprehended and tried. The Machloufs attended one court session, but could take no more. “We were extraneous to the proceedings,” Michal explains. “We still don’t count. I couldn’t bring myself to scrutinize the list of swapped terrorists to see if he was among them. I can’t abide the release of triumphant savages, and I can’t identify with the Gilad-fest jubilation in our midst. I can’t see it as cause for rapture. “My mother perished on the pavement of her native town at age 53. We were relatively ‘lucky.’ Unlike others, we had a body. Mom died of internal injuries. No gory mangled remains. But her life ended on the sidewalk. I can’t regard our state as the paradigm of unstinting solidarity and humanist virtue when those felled in our streets keep being trampled upon. “Why do we not impose the death penalty? Jewish tradition warns that he who is merciful to the cruel will end up being cruel to the merciful. What will we do in upcoming spates of terror and hostage-taking? “The wholesale release of terrorists is tantamount to acquiescing to the annihilation of Jews because they’re Jews. Why should legal verdicts and sentences not stick to Arabs? Why need we occupy the moral high ground while homicidal Arabs garner global sympathy? “How dare anyone judge families like mine! In Michal’s view, “these expectations are immoral and come from people who know nothing, least of all why they mouth leftist mantras. They never knew Pirhiya Machlouf and never gave her a passing thought. But Pirhiya was real.” And her favorite flower was the bird of paradise. from your mouth to the politician’s ears ! Logic, truth and reality doesn’t make for re-election. Short term expediency and advantage for long term blood shed and misery seems politically preferable at present. What a mistake!!!! The media whips up the hysterical feelings, the cheap emotionalism, and feeds on them, both literally and metaphorically. When Princess Diana died, a few people in the UK and India committed suicide in bereavement. A curious piece of news surfaced for a moment during Gilad Shalit’s coming home – and was never repeated. The reporter said that somebody in the greeting crowd wanted to kill himself – for joy. Imagine! Churchill’s favourite phrase was “I don’t know why they are making such a fuss.” They didn’t, in fact: Britain won the war thanks to its “stiff upper lip.” One wonders what Churchill would have said now. I just wanted to let Michal Machlouf know that I *do* remember her mother’s name and my heart is with her at this extremely unjust and difficult time. I volunteered as a bat sherut for OneFamily Fund (an organization that supports terror victims) in Hadera at the time of the attack. I don’t remember visiting her family during the shiva and I don’t know if she is in touch with the organization. But I do remember the name, and while I am happy for the Schalits, I am horrified and angered by the way the government and the media cheapen the suffering and loss families like hers endured. I grieve for you and your family and the injustice that has been done to families like yours by the politicians and the mislabeled “do-gooders”. the part of the article that struck out at me was the phrase ” I can’t regard our state as the paradigm of unstinting solidarity and humanist virtue when those felled in our streets keep being trampled upon”. there is no such thing as “humanist virtue”. we can see, down thru history the devastation that has been caused by humanist thought. when humans are left with their own emotions, feelings and prevailing thought, you get a world such as the world we have today. there is no good and bad, righteous or evil, dignity or savagry. as n. hill said “nothing is either good or bad except the mind think it so”. this is the thinking being forced on children thru the “humanist” schools/universities, courts, bureaucrats and on into society. Michal, it is only GOD, whose laws are unchanging, that lifts us up, gives us dignity, loves us, and gives value to human life. HIS laws for us personally, and society, that give us “inalienable rights” as humans, and calls evil, evil, are the only laws capable of guiding a society. when you have “humanist” thought, it will change with the prevailing wind. they don’t care what may hurt you personally, that, to them, is just a mere by-product or casualty on the road to the great global society. i am so sorry for the loss of your mother in such a senseless, violent way, but please don’t look to the “humanist” to care about or create a society in which people are valuable. it’s only self interest and their own meanerings of the mind that guide their paths, not true values of right and wrong, good or evil.